I'm just back from a great month in Europe, a mix of business and socializing, including time spent in Germany (Mainz and Berlin), Italy (with family), Belgium (Antwerp and Ghent), and France (Paris). The last bit in Paris was as part of the OuiShareFest, the excellent yearly conference put on by the collaborative economy folks at OuiShare. Ariane S. Conrad, the brilliant Book Doula, wrote a lovely review of this year's OuiShareFest, wherein she calls me "refreshingly plainspoken" in explaining blockchain technology. Read the whole piece on her blog, and watch the adorable video recap of Day Two of the conference, with Ariane and I laughing around minute 1:30. 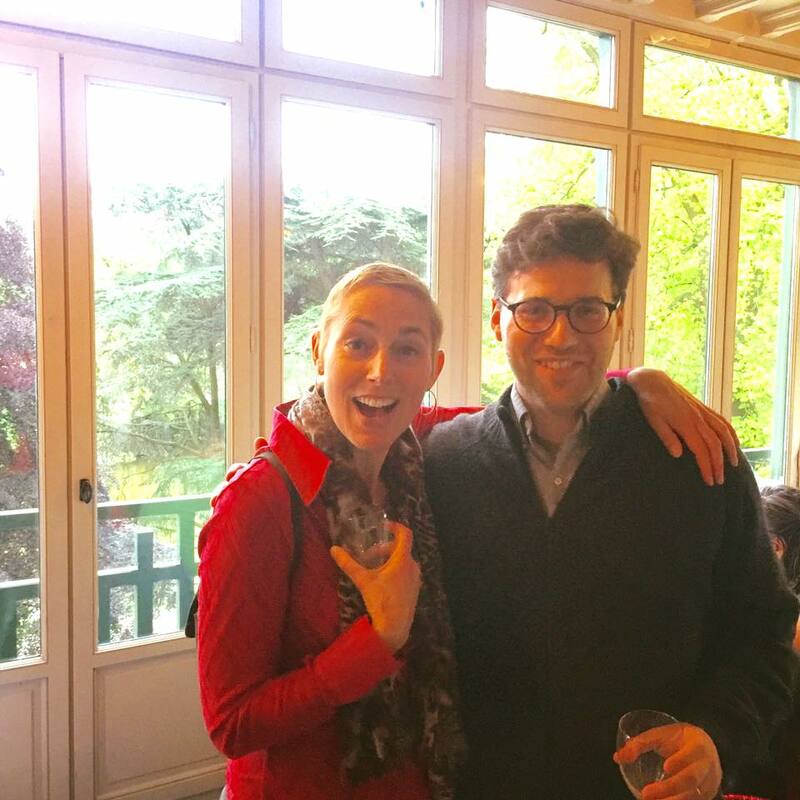 Other memorable bits of the conference included the work being done on Platform Coops, much of it led by the thoughtful and principled Nathan Schneider, whom I was incredibly excited to finally meet in person, as can be evidenced by the goofy look on my face, below. No question, I'll be back for next year's OuiShareFest for sure. Join me?